Exceptionally roomy and bright and cheery are the adjectives most used when describing a stay in this property! 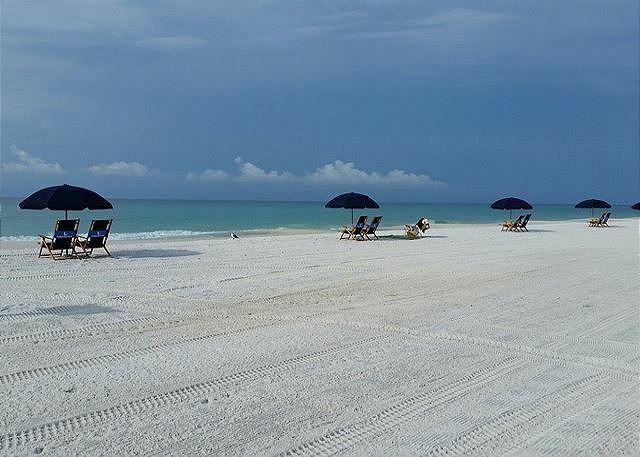 Just steps from the sugar white sandy beaches of Miramar Beach! Sunday to Sunday rental during the peak season. Includes Pack-N-Play and high chair! AFTER SEVERAL YEARS AT GULF WINDS EAST, THRU HARMONY, I HAVE TO SAY MY STAYS WERE EXCELLENT. ALL GOOD THINGS COME TO AND END SOOOOOOOOOOO THANKS HARMONY AND THEIR RENTAL UNITS. Thank you for sharing your review for Gulf Winds East #34. We appreciate having you as our guest and we're so happy to know that you had another excellent stay with us here at wonderful Gulf Winds East! We look forward to seeing you again soon as our guest for another Good Thing, here on the beautiful beaches of the Emerald Coast! Great if you have kids! Very quite place. It was also very close to the beach where we could walk to it every day. We thank you for your review for Gulf Winds East #34. We are delighted to hear that you and your family had a great family vacation stay with us and that you all so enjoyed this beautiful home! We're glad that you enjoyed the quietness of the home as well as the great location near the beach! We hope to welcome you all back again soon as our guests for another beach vacation stay with us here in beautiful Miramar Beach, FL! The property is nice, well kept and clean (not fancy). The location to beach, shopping, and other attractions is perfect! The owner/manager was nice and helpful. Thank you for sharing your review for Gulf Winds East #34. We are very pleased to hear that you all had another wonderful vacation stay with us and that you enjoyed this beautiful home! We thank you for your kind words for our team and we appreciate you letting us know that you are pleased with our services! We hope to welcome you all back again soon as our guests here in beautiful Miramar Beach! We absolutely loved the room. My daughter loved the stairs the most, other than the beach. The pack n play came in really handy as well. It was a really great experience! Thank you for sharing your review for Gulf Winds East #34. We are so pleased to know that you all had such a wonderful stay in this beautiful home and we hope to welcome you all back again soon for another great stay with us here on Florida's Emerald Coast! Thank you for sharing your review for Gulf Winds East #34. We are delighted to know that you had a pleasurable vacation stay in this beautiful home and that you appreciated the great location by the beach! We would love to welcome you back for another great vacation stay with us here at the beach in Destin, FL! It was amazing. Place was very clean, beds comfortable, and definitely big enough. The beach was just across the street with many restaurants along the strip. Everyone was so nice! Will definitely go back! Thank you for sharing your review for Gulf Winds East #34. We are so delighted to know that you all had such a wonderful beach vacation stay with us and that you so enjoyed this beautiful home, the beach and the area attractions! We hope to welcome you all back soon for another amazing vacation stay with us here on the Emerald Coast! 21 YEARS IN THE SAME COMPLEX AND STILL LOVIN IT! Unit is very comfortable and the service by HARMONY excellent. Thank you for your review of Gulf Winds East #34. We are elated to know that you all have enjoyed 21 years loving Gulf Winds East, and we completely agree that this is just such a wonderful place! We appreciate having you all as our guests and we look forward to having you all back again soon as our guests on the Emerald Coast! Have stayed in Condo 34 many times and it was always a great experience. Thank you for sharing your review for Gulf Winds East #34. We are so pleased to hear that you had a great time and we would love to welcome you back soon as our guest in Destin, FL! 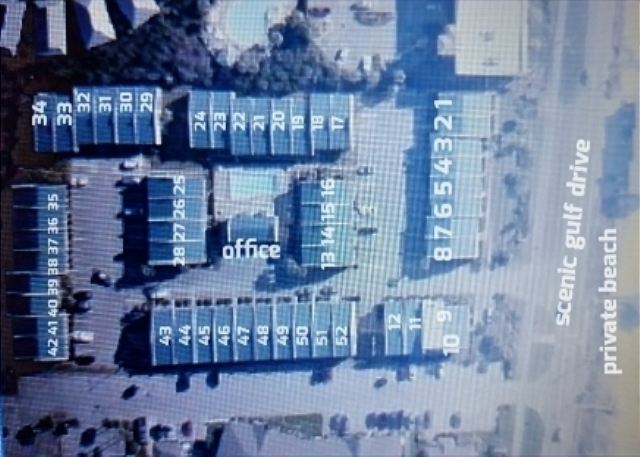 Great location, amenities and walking distance to the beach. Thank you for sharing your review. We are so happy to hear that you all had the Best Vacation Ever at Gulf Winds East #34! We would love to have you back again as our guests and see if you can have an even better vacation! The whole experience was just what we needed to relax. Thank you for your review. We are happy that you all had a great Family vacation stay with us at Gulf Winds East and we hope to have you all back soon as our guests for another relaxing vacation in Destin, FL! Thank you for sharing your review. We are delighted to hear that you all had a great time on your family vacation at Gulf Winds East! We would love to welcome you all back soon as our guests in Destin, FL! The town home was amazing and truly relaxing. Definitely worth the long drive. Thank you for your review for Gulf Winds East #34. We are so happy to hear that you all had an Awesome vacation stay with us in this beautiful home and we hope to have you all back soon for another relaxing vacation in Destin, FL! we were in town for a wedding and the place we stayed was just fabulous!! It was probably one of the best short trips i have taken and everything was just the best!! Thank you for your review. We're so pleased to hear that you had one of your best trips during your stay with us and we would love to have you back so that you can have another wonderful vacation! This was our second stay at Gulf Winds East. Last year we were in #44. This year we stayed in #34 which was so much better! The beds were fairly comfortable and the condo was very clean and private. If you have kids, they will love the bunk beds. Our kids loved the lights on them so they could read their books at night. Beach harmony was very accommodating about getting us in earlier then our check in time since we arrived early. We were so appreciative. It's a great location to the beach and our family loves the sidewalks that are family friendly to walk places. Thank you for sharing your kind review. We appreciate having our valued guests such as yourselves returning year after year to this beach community! We understand that each guest has individual preferences in what they like in their vacation home and we are glad that you've found the perfect fit for your family in #34! 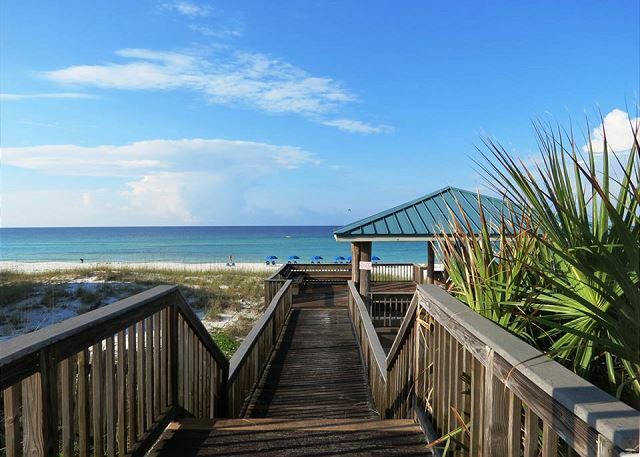 We would love to welcome you all back soon as our guests on the Emerald Coast! Thank you for sharing your review. We are so pleased that you all enjoyed your stay with us and we would love to have you back soon as our guests on the Emerald Coast! Love this unit! Clean, quiet and beautiful! Will stay here every year and maybe in off season if possible. Great access to beach and safe. Wonderful staff! Thank you for sharing your kind review. We appreciate having you as our guests and we hope to have you back soon as our guests on the Emerald Coast! Very good place to stay! Clean rooms! Great location! Main complaints - no TV in one bedroom, no closet in one bedroom, Blinds on windows need replaced-allow too much light and heat into the room. This was condo #34. My brother stayed in #35 and it was a lot nicer and more up to date than #34. We arrived about two hours early and the lady in the office let us go ahead and check in since our room was cleaned and ready. The condo was nicely decorated and had everything that we needed for our stay. There was even beach chairs, sun umbrella, and beach mats that we took to the ocean. The property was very clean and quiet. Overall, a pretty good place to stay! The only thing that might have made it better would be if it was located directly on the beach, instead of across the street. But in all fairness, we knew the layout before we rented and the two minute walk wasn't bad. For the price we paid, very good experience!!! Thank you for sharing your review. We're so glad you all enjoyed your stay with us and we hope to have you stay with us again soon! Thank you for taking the time to share your review. We hope to have you back as our guests again soon! the property was very clean and beautiful inside. The pool are is not beatiful but the pool is good. The location is good. I would stay there again. Thank you for sharing your vacation experience! We are so glad you all enjoyed yourselves and we look forward to having you back as our guests soon! The best time ever! Everything we needed was there. Very comfortable and exciting vacation! This is the third time we have stayed in Gulf Winds East - always staying in a different on. Can't beat the location from beach, the friendliness of the staff and owners, the ease of renting and checking out. I wish they had blinds on the big window in the dining room and thicker curtains in the bedrooms to shield the light in the morning. The rental was great. Very clean and everything I needed was stocked up. Definitely worth every penny. Located Just across the street from the beach. We loved our stay at Gulf a Winds East! Beautiful townhouse and very clean. With in walking distance to the beach. We didn't have any troubles or problems at all, which made our vacation! We can't wait to come back next year!